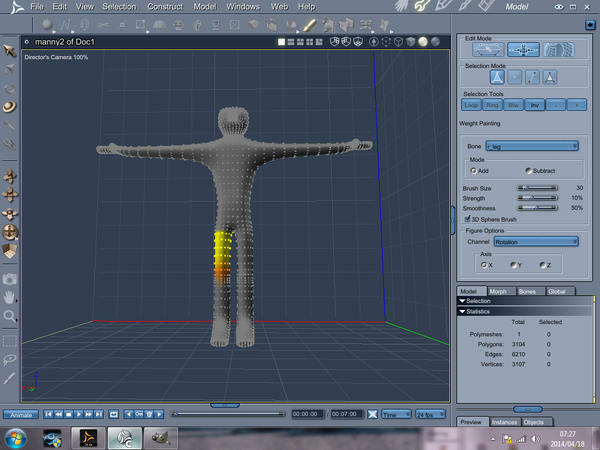 Just curious whether anyone has recently rigged a figure in DS and exported as cr2 for use in Carrara? I used to do this a lot because I much prefer the weight-painting and constraints setting. Haven't done it in a while, though, because I've been concentrating on hard body modelling. Just finished making a dinosaur, which worked perfectly in DS, but did some really strange things in C 8.1, so ran some tests on a simple figure. 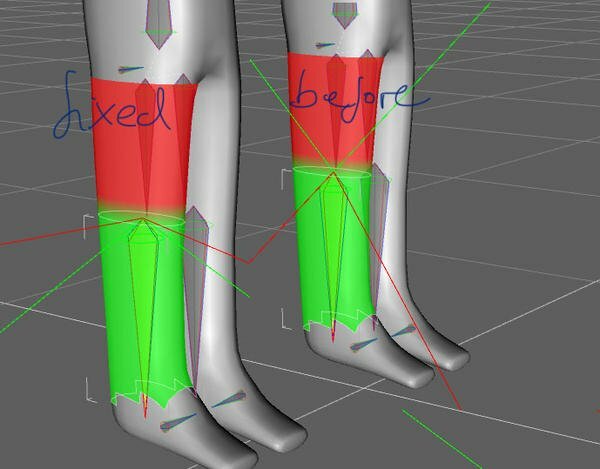 The cr2 works perfectly in DS, but in C, whether using Tri-Ax or parametric, in most cases, but not all, it reads the bones hierarchy wrong; for instance, the weights for r-leg is allocated to r_thigh - always one up in the hierarchy and the child bones are not attached. In other cases, such as the shoulders, it reads and behaves correctly. I'm just wondering whether this works OK in C8.5 and Daz has just made 8.1 redundant for this purpose? 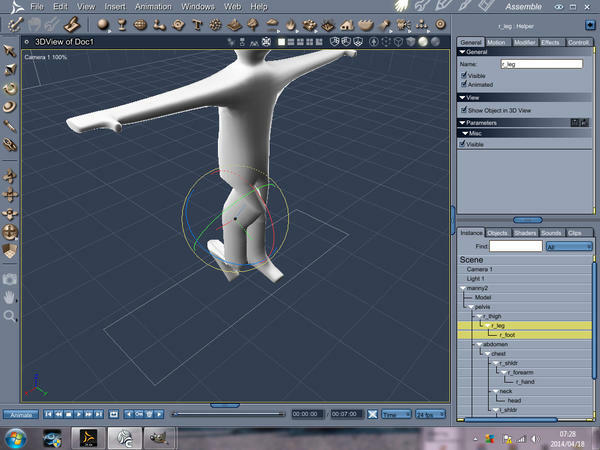 I never had comparable issues when rigging in DAZ Studio for Carrara. Can you upload the project files to have a closer look at? Looks like 4shared doesn't work very well for me. Would you mind to upload the file somewhere else? In case you would like send it as e-mail check your PMs. When I open the file in DAZ Studio and watch the weight assignments I can see that lines that show the static/ posed angle are flipped (red is static, green is posed). When i fix the angles (red to static/ green to posed) it behaves in Carrara as expected. What tool do you activate to see the weight assignments and angles? 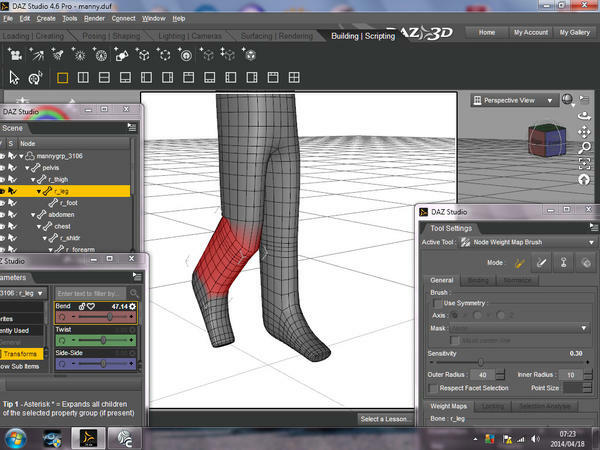 That is what I used to see on the old DS3 FST, before they introduced weight-painting. Never seen them in DS4 and thought that those and the sphere influences had been replaced by weight-painting. 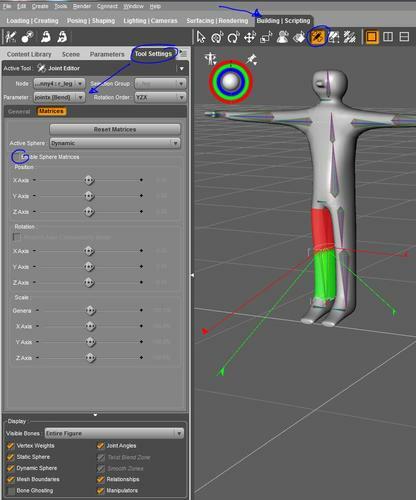 those options are still there if you are editing a parametric character. Very cool... thanks for this!